Full time Mother of two, part time crafter! I was looking for a gift and while I was looking I came across personalised jewellery. I thought I can do that and the rest is history as they say! 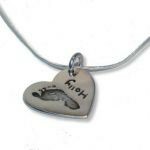 Recently as well as hand, foot and fingerprint jewellery I realised that pets are often looked upon by some people as there children! 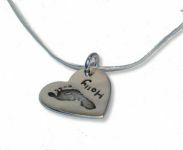 It therefore seemed a natural pregression to include 'Paw Print' jewellery in my range. 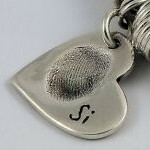 They do give a whole new challange to obtaining the prints though! 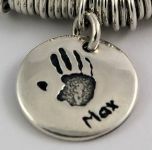 Personalised and unique silver jewelry.